Dr. Kerendian is now offering complimentary consultations to patients looking to have cosmetic surgery. 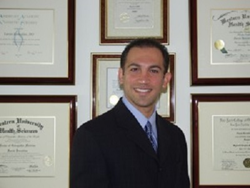 Dr. Farzin Kerendian, LA cosmetic surgeon, is now offering complimentary consultations for cosmetic procedures. Cosmetic surgery has been soaring in popularity over the last few years. In 2014, 15.6 million surgical and minimally invasive cosmetic procedures were performed in the United States, a three percent increase since 2013. As the technology improves and the options expand, more patients are looking for ways to revitalize their appearances or to transform their features. Cosmetic surgery offers virtually endless options for sculpting, contouring, and perfecting faces and bodies. Dr. Kerendian’s facilities include state-of-the-art equipment and the latest technology. They are accredited by the Accreditation Association for Ambulatory Health Care, or the AAAHC. This ensures they offer safe, high-quality care to their clients. The recently remodeled facilities are comfortable and staffed by highly trained professionals, as well as a board-certified anesthesiologist.